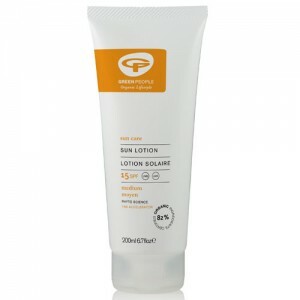 High factor soothing protection against UVA and UVB rays. Suitable for sensitive skin. Soothing and suitable for delicate skin with a water resistant formula to reduce risk of protection loss after swimming. 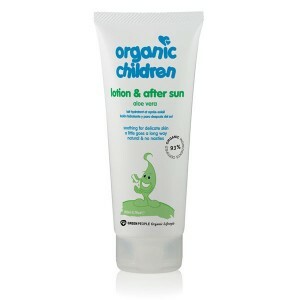 Water resistant, non greasy sun lotion for Children with organic Aloe Vera, Elderflower, Lavender and Edelweiss. 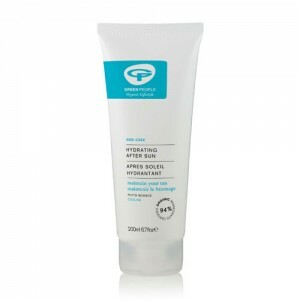 Natural protection from UVA and UVB radiation and rich in antioxidants to protect against cell damage. This replaces the Green People Kids SPF 25 Lavender sunscreen. The Green People range is wide, from hair to body care, deodorant to anti-ageing products. The prices are very reasonable, and the concentrated body washes and shampoos last for ages! The So Organic team has always liked the Green People product quality and value for money. Anyone looking for high performance products that are super effective with a very high proportion of organic ingredients would love Green People products.